Been awhile since I posted as life seems to get in the way at times. 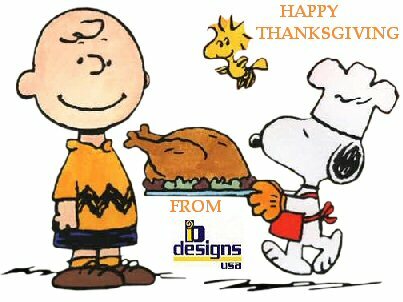 Although it’s a bit early wanted to wish all my friends and followers a wonderful Thanksgiving. Wishing you a peaceful day as we start the holiday season! 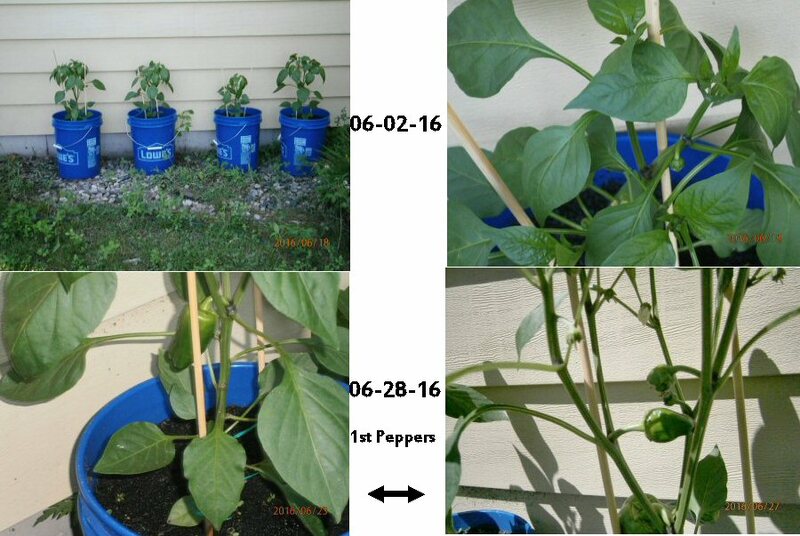 I thought I would share my first experience with growing peppers here in Wisconsin. I remember gardening when I was growing up. My parents had a garden every year, and we kids would help. Now, though, both red and yellow peppers have gotten so expensive in the stores! Last April I found a great local nursery called Stuarts in Oshkosh. Towards the end of the month, they had their red pepper seedlings in stock. The people there were really helpful, and we bought 4 red pepper plants and some fertilized soil. We wanted to use buckets, so we wouldn’t have to dig up the lawn. With some thoughts and recommendations from Stuarts, we went to Lowe’s and got 4 big buckets. We drilled holes in the bottom, partly filled them with Styrofoam peanuts (for drainage), and added dirt. What with moving here last year, we had plenty of the peanuts! Next, we put one seedlings in each bucket. I was out there watering faithfully, starting in the Spring, and moving into the summer. Not much happened. But then, very slowly, they started to grow. One was pretty slow, and we weren’t sure how it would work out. It was fun seeing Mother Nature do her work, and sure enough, the slow one did catch up, as you’ll see in the pictures. 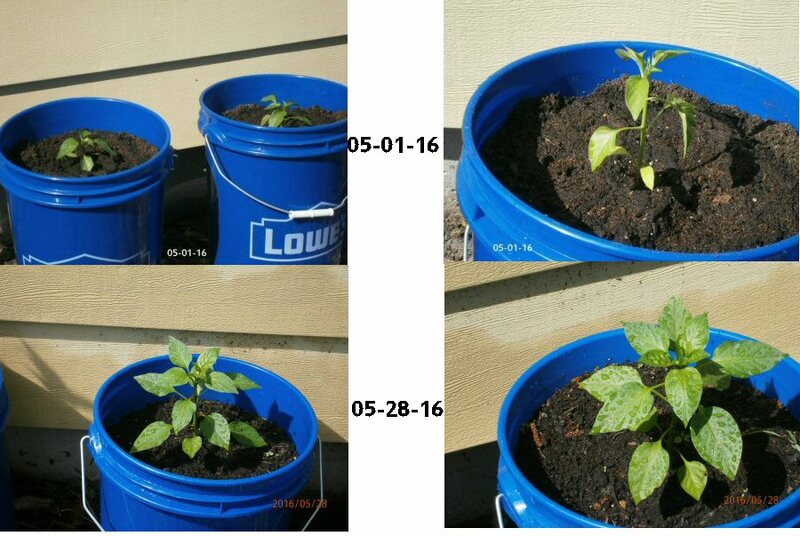 Here are 3 collage’s showing the whole adventure, from the beginning until harvest. If you click on each image you can see how much they grew along the way. 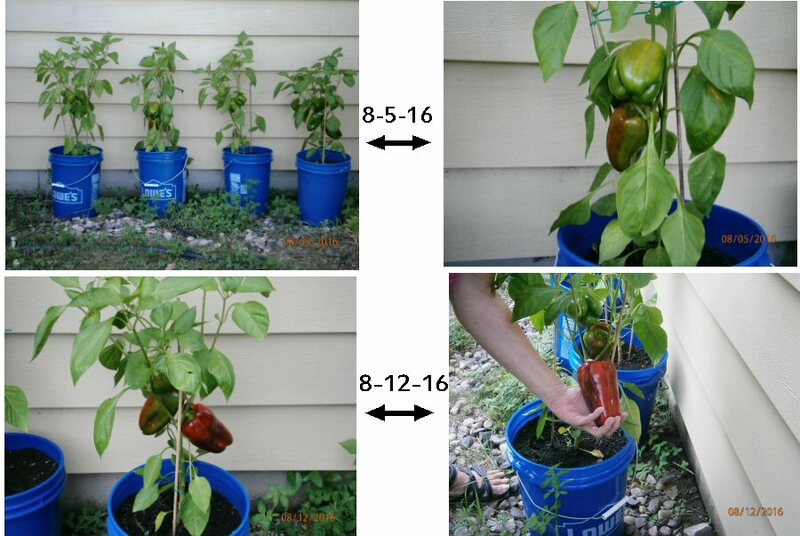 We ended up having 12 red peppers, with each plant growing three full-size peppers. It was a lot of fun, and I’m planning on doing it each year. Enjoy! Hope you enjoyed seeing them. They are delicious and a bit sweeter then the ones you get at the store! And those who were seen dancing were thought to be insane, by those who could not hear the music. Isn’t it interesting how often we act, or fail to act based on information? We’ve now been here in Wisconsin for just over a year, and this summer has been really fantastic! To begin with, we’re not unpacking truckloads of boxes, buying pieces of furniture we need for a different place, or figuring out how to handle a winter’s worth of snow. This summer we can go out fishing, and we actually know how to get to a place AND get back home again without getting lost! Mention the city of Oshkosh, and the first thing many people will respond with is, “Oshkosh, b’Gosh!” and smile with fond memories of overalls. The second thing people will refer to is “the air show,” better known as EAA — Experimental Air Adventure — and also known as the AirVenture. You can talk to anyone in the airplane world, anywhere in the world, at any airport or landing strip, and they’ll know about Oshkosh. In fact, the city name is unique in all the world. We watched a great documentary put together by the Wisconsin Historical Society, learning about how the city came to be and why it’s so important. With all the lumber in the upper Midwest, Oshkosh became a central gathering place for the cut trees. 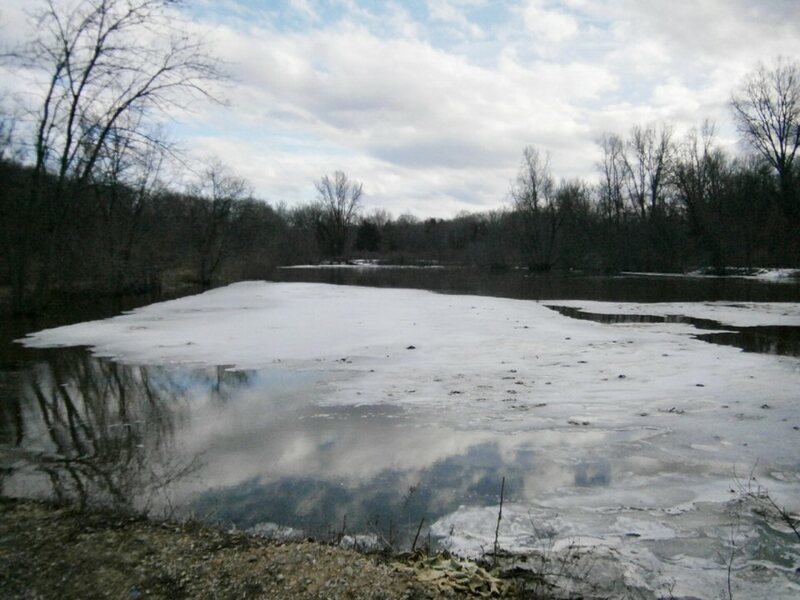 It’s at the mouth of the Fox river, directly connected to the Wolf river and about 300 square miles of lakes. 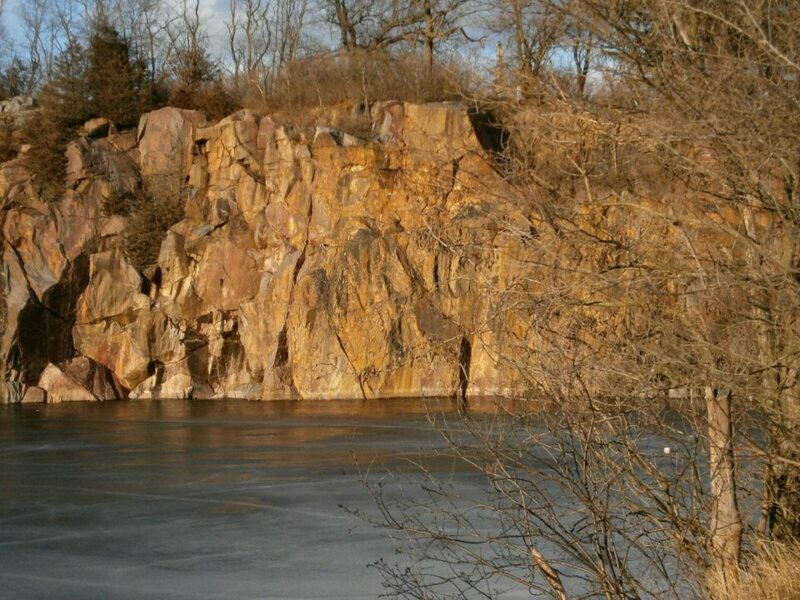 It was originally settled by the Menominee Indians, and we have a huge park, coincidentally called Menominee Park. What are the odds that someone would come up with a name that strange, and it just happens to be almost exactly the same as a tribe of Indians? Amazing! Okay, so there was a very important chief, back when the Americans were moving ever-outward in the country, taking over land and resources. Chief Oshkosh was a superb public speaker, well-versed in oratory, argument, rhetoric and persuasion. He went to Washington to speak with the President, and basically saved the area from being completely taken over by the American government. At first, the land was used for the wealth in fish and animals, with the French coming together with the Menominee to develop the fur trade. That gave way to the lumber industry, and the incorporation of the city of Oshkosh in the early 1800s. The city became known as the Sawdust Capital of the world because of the never-ending cutting and milling of trees. You could smell the fresh scent of sawdust everywhere, and today we have the Sawdust Days Festival in Menominee park. Lots of carnival rides, souvenirs, vendors, crafts, food, bands, and noise. Fast-forward to the end of July, each summer, and the creation of the AirVenture show. This is the largest airshow in the world, and little Whittman airport becomes the busiest airport in the world for two weeks. For example, they had 3100 air “events” (landings or take-offs) on Thursday alone! Not only that, but although it might be a regional airport, the runways have been built to land the largest plane in the world: the C-5 Galaxy military transport. We had no idea that our house is an international navigation landmark! Actually, the controllers use Fisk Avenue and the railroad tracks to direct small planes to the start of the runways, where the airport control tower can see them. We have upwards of 1-million visitors during the 10 days of the show, with huge numbers of people flying in on home-built planes or small commercially manufactured planes (e.g., Cessna, Gulf-Stream, etc.) They can land 3 planes at a time, in some cases, based on the colored dots and different runways. Last summer during the show, we would hear planes and jets everywhere. We’d quick go to the window to see what was happening, and see nothing. Or we’d see a formation of anywhere from 4 to 16 planes flying around for some reason. While fishing, we’d see, maybe, a B-52 bomber come flying right over us at about 100 feet! Talk about loud?! But that wasn’t even close to racket made by the F-16 or F-22 fighter planes! So: This year we discovered EAA Radio, not only streamed online, but also available on FM radio. Suddenly, we got to hear WHY all this was going on, and WHAT was happening! All the really loud revving of engines and the buzz of planes made sense when we heard the underlying narration of the “aerobatics.” These are pilots (pretty much lunatics) who fly planes in ways they never were intended to be flown — the old-fashioned barn-stormers! We also know enough about the city now, that we were able to drive all over, to places right off the airport grounds. We were in a parking lot, along with many of the local folks, and watched the arrival of the Canadian Snowbirds. They’re the Canadian version of the Thunderbirds or the Blue Angels precision flying teams. They came in with 9 jets, in perfect, exact alignment…right over our heads! There was one aerobics pilot from Kentucky who flew a bi-plane at 150mph down the runway, 18 feet off the tarmac in order to cut one of two ribbons being held aloft on some poles. That was pretty astounding, considering he did it upside down! But then he decided to cut the second ribbon by flying on edge, with the wings facing the ground and sky. Also at 150mph, he sort of danced the plane along in a hop and skip format and sliced the ribbon. Why? Because it’s cool-looking! We went to the outlet mall parking lot Wednesday night, to watch the night show and see some of the biggest and best fireworks we’ve ever seen! They’re put together by many of the sponsors of the EAA, including GE, Lockheed-Martin, Oshkosh Defense, Hewlett-Packard, and just about every other corporation involved in the air industry. So you can imagine: There isn’t a shortage of money for fireworks! There was a historical re-enactment of the bombing of Tora Tora and Pearl Harbor, all with original, vintage antique planes that have been lovingly restored to perfect condition. The entire sky was filled with every imaginable plane you’ve ever seen in a World War II movie (they have a special FAA waiver). They blew up the runway with firepots set off electronically, and strafed the runway with heavy cannon-fire from all sorts of planes. There were Japanese Zeroes, German Fokkers, Russian MiGs and lots of whatever-they-are jet fighters and prop planes: Even a B-25 bomber blowing up things. All this because we suddenly could hear the “music,” so to speak! Just having the ongoing information played across the radio suddenly turned a world of chaos into a fabulous choreography of planes and motion. And to think: We live here! Below is my 1st attempt and creating a video of what we saw at the EAA Airshow. Some our pictures that I took with my camera but also video that show the night airshow. 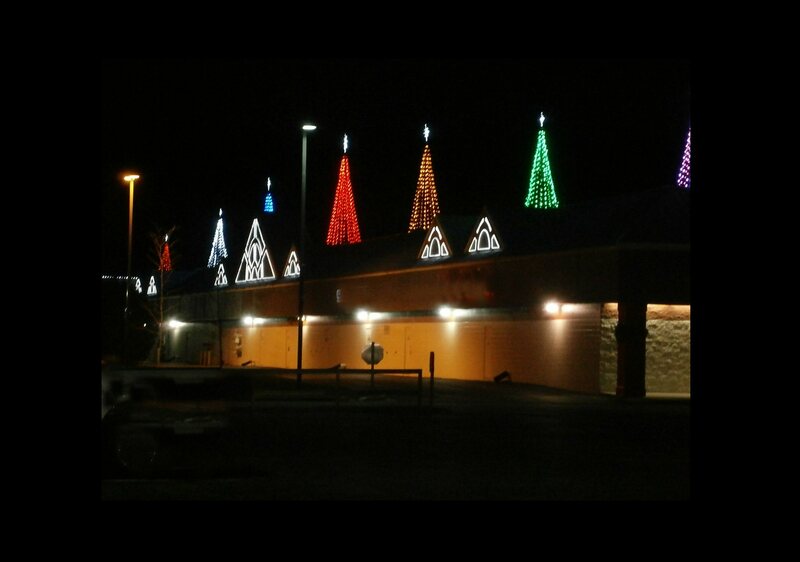 That was taken across the street from the Oshkosh Outlet Mall. You can see how close those planes got as they lit up the sky. Could be better but I think I will improve with time. First time using Windows Movie Maker. It’s hard to believe that next month will be a year since we moved to WI. This year has sure flown by. Last Spring and Summer was a blur as we were still unpacking. This summer is going to be a lot easier. Although we have gotten use to navigating around Ohskosh and Appleton some we have been too busy to wander much further until recently. A few days ago with temps near 70 we decided to go for a drive. Sure glad that we did. There is a tiny little town about 10 min from us called Waukau, WI. They have a fishing pond and creek there. 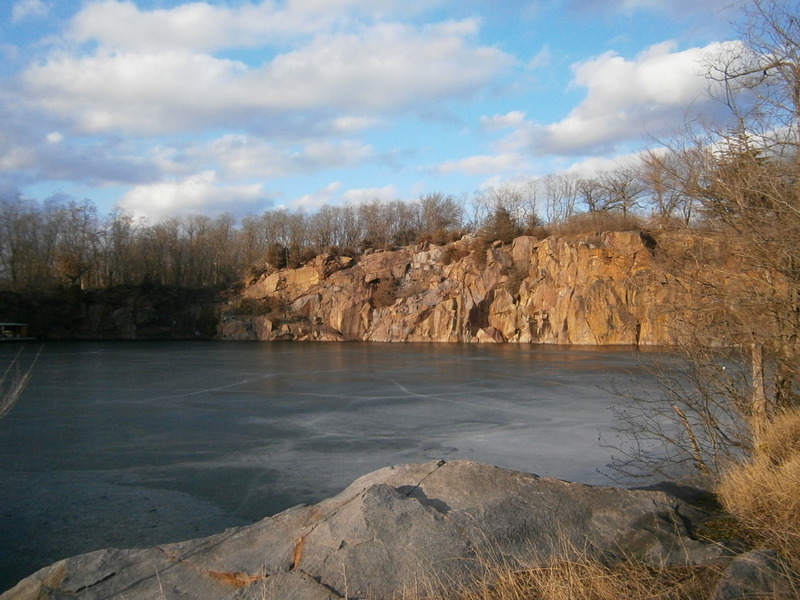 The first picture is of the Dam that is right next to the pond as seen below. It was really rushing that day. The next picture is off the pond itself. 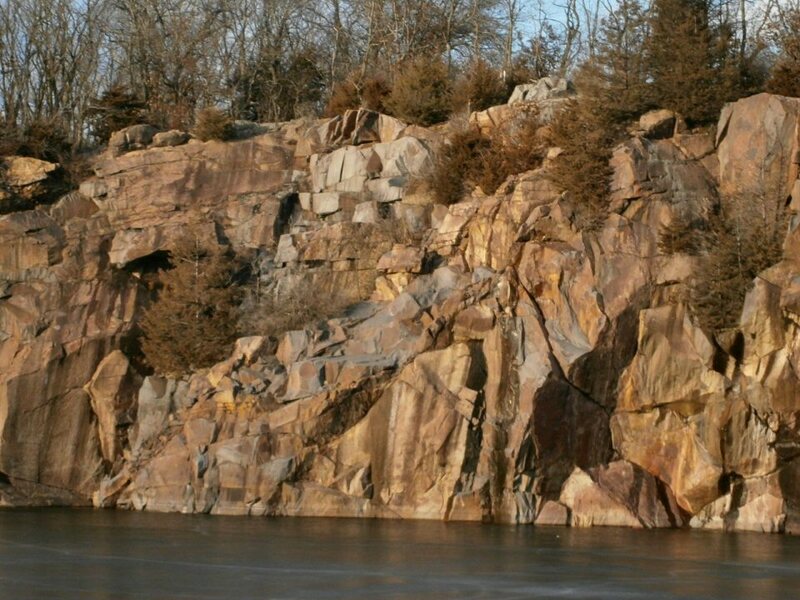 We then drove about 10 minutes more and arrived in Berlin, WI, They had a beautiful quarry there and I too some pictures of that. 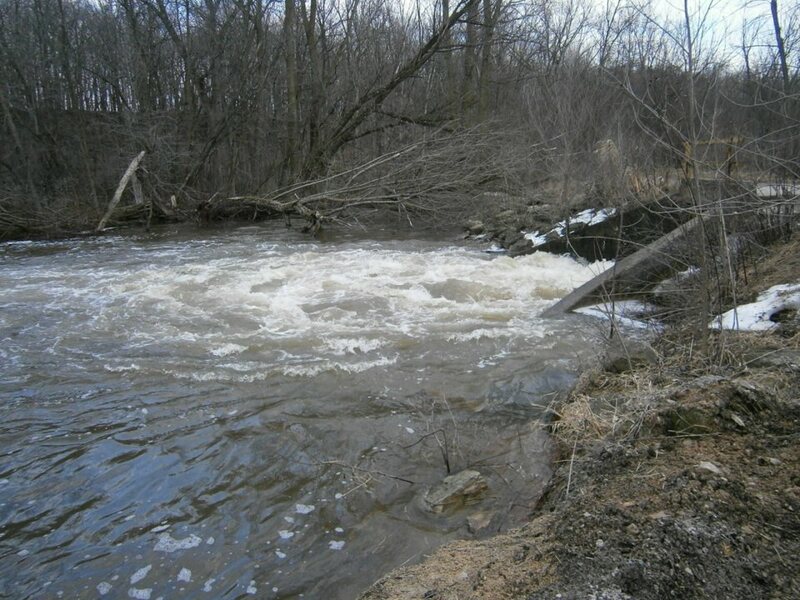 We plan to explore as we fish this Spring and Summer. Hope you enjoy the pictures! 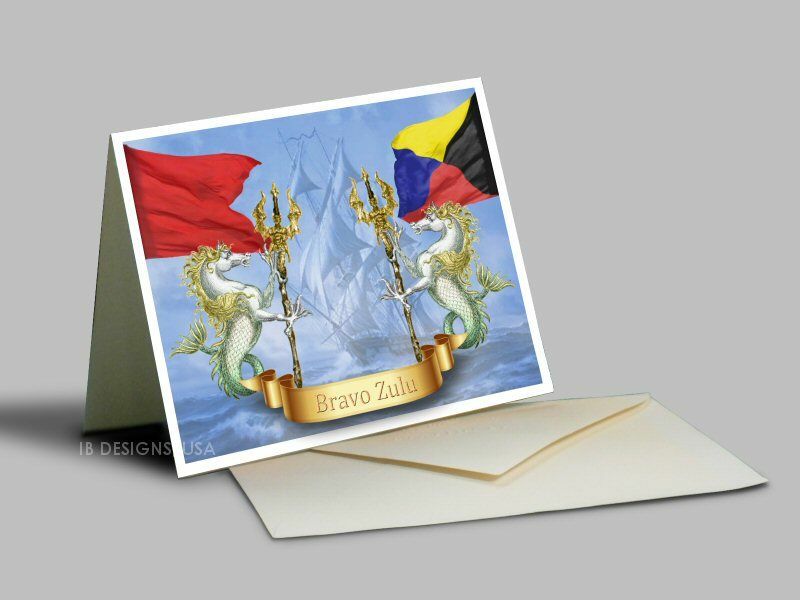 We previously offered a fabric flag vertical banner with the letter B (Bravo) and Z (Zulu). These two flags are a sort of “well done” acknowledgement in the maritime services. Then we realized how much time it took to make the flags, while at the same time some of our customers wanted to order quantities. We did a lot of ponderatin’, thinkinating, contemplatin’, cogitatin’, bamboozlizin’ and meditating. Then we came up with a photo-realistic, 3D image of the two flags and saw we could do some really cool things with it! Our next problem was how to get it from our imagination into the real world, onto the Web site and available for purchase. At last, we figured it all out. Carries a much lower price than our fabric ladder flags. Craig designed this and the quality is excellent. This is just the beginning, and we intend to introduce other high-quality 3D paper signal flags in various sizes and banners in the future. We’re thinking of 1-click-to-buy banners that spell out various events like: “Happy Birthday,” “Just Married,” “Congratulations,” “Welcome Home,” and so forth. The paper-letter signal flags will be DYI, where you order the flags and cut them out to string together. I’ll have more about them as we get closer to finishing them. The BZ award is an example of what we also can offer as “portrait” flags, all suitable for framing. The individual letters we’re thinking would be wall size, about 8×10 and then smaller versions. For example, we hope to produce “stick flags,” about 4×5″ that you cut out and fold to wrap around a typical skewer. The result could be part of a floral arrangement or hung on string instead as a decoration. Several years ago, we saw a post from Martha Stewart that went on about putting small signal flags on toothpicks for cakes. Oddly enough, she had no connection to where anyone could buy some of these! So we decided we should be the ones making them! Those could even go on Christmas trees as a sort of garland. Fun, right? But of course! We’re also able to do things with paper that we simply can’t do with fabric. We’re thinking of “repeater” flags, and things like pirate flags for birthday parties with a nautical theme. Another problem has been number pennants, which we do make in fabric but they’re cumbersome. With numbers in “stick flag” size, we could offer things like “Happy New Year 20-##” at a much more affordable price. It’s an exciting time, but Holy Cow!…there’s a lot involved! At the moment, we’re redesigning the Web site, so keep an eye out for Breaking News! Check out our BZ page to see the images and to order. We wanted to take a minute to wish all our friends and followers a Merry Christmas and a wish for a healthy and successful new year. This sure has been a busy and exciting year for us. We celebrated our 10th Anniversary in February, even though it was among a lot of boxes. Seriously: a LOT of boxes! At the beginning of the year, we were packing away towards our April move. Then the move itself was huge, being out-of-state after 25 years in one place. We wanted to learn a whole new area, and most importantly, to finding all the fishing spots. We love to BBQ, but it was a lot more difficult in Batavia, in the apartment. This year was all about the grilling! We made up for lost time, going all out on the hamburgers, hot dogs, steaks, and Ribs! Oh, and chicken, of course. Oh wait — and the Korean bulgogi, Chinese char siu, and of course, Mexican fajitas. We needed new drapes, and couldn’t find them. The windows are weird, being around a half a mile wide, and they’re not patio doors. So we needed something around 72 inches. We could find 63 or 84 inches, but at last, J.C. Penney’s came through for us, with 72-inch long drapes. And let’s not forget the lawnmower we needed, going from an apartment to a half-acre lawn, and the snow blower for the Wisconsin winters. (“Yer gonna want one of them 6 horse blowers, ya know, not one of them little ones. Ya know.”) Then there was registering the vehicles, getting unpacked, buying some other furniture, getting rid of stuff we didn’t need; the list goes on and on. Because of all this, we decided to start a new tradition: a memory tree at Christmas time. We’d hoped to find some little ornaments that would remind us of things we did, but couldn’t find them. I guess they don’t celebrate Christmas in China, so they don’t make as many unusual ornaments. Solution? We would make our own. As we go along, each ornament will remind us of what we did in a particular year. 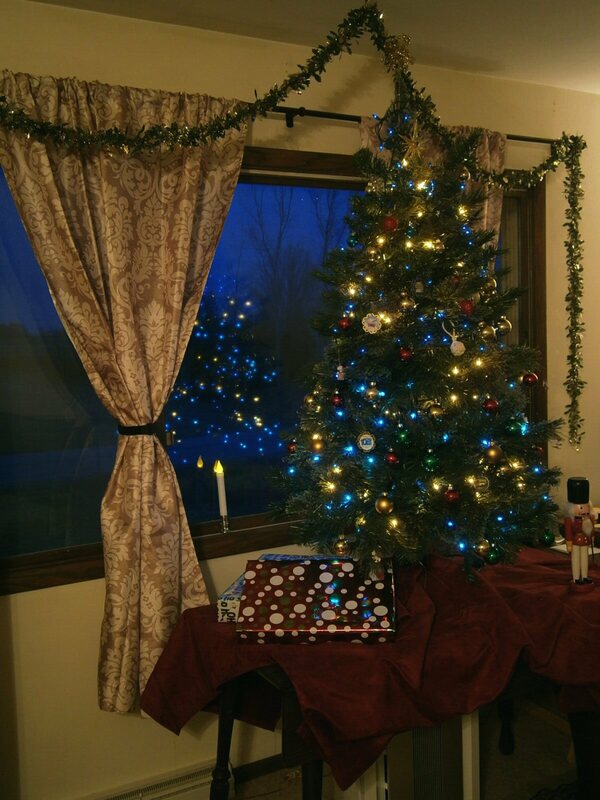 Below is our Christmas tree, and a couple of the ornaments. Next post, I’ll show how we did it; it’s pretty easy, and a lot of fun. Not to mention, a lot less expensive than commercial ornaments. Click to enlarge any picture. 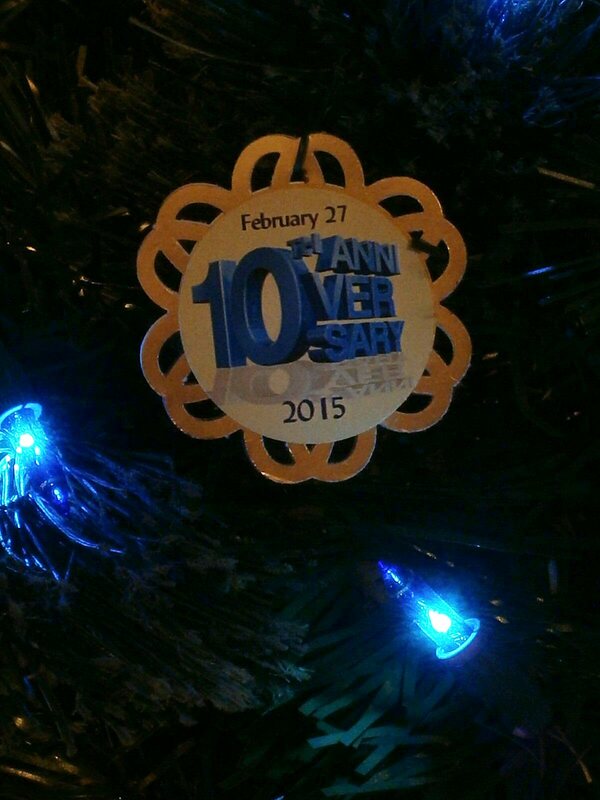 Here is one of our memory ornaments showing our 10th anniversary. 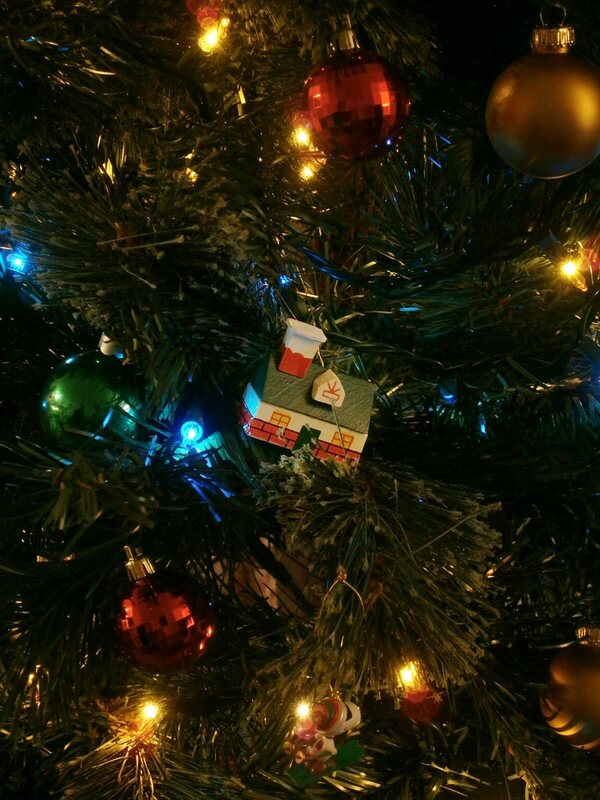 We found this little house ornament that we love! 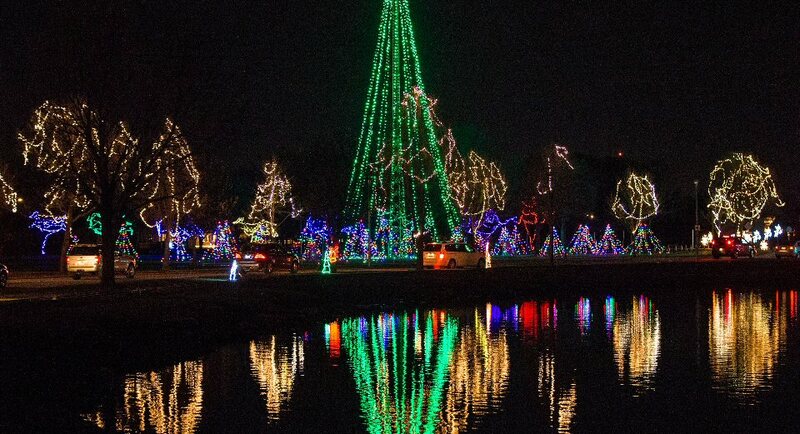 Lastly we visited the Oshkosh Celebrations of Lights. It was wonderful! Personalized Messages with Signal Flag Banners! Navy signal flags offered in message banners, nautical valances for window treatments, and vertical wall hangings. You choose the name or words you want to hang as a home interior decoration.